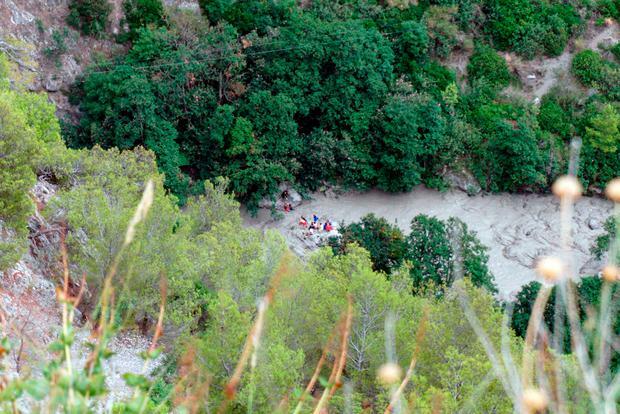 At least 10 people were killed in southern Italy yesterday when they were hurled over rocks by a raging white-water creek in a deep mountain gorge that swelled suddenly after heavy rainfall upstream, officials said. The civil protection department said 18 people were rescued and six of those were injured in the flash rush of water in the Calabria region. It was not clear how many people were missing because not all had entered the gorge with official guides and registered. Spotlights were brought to the area so the search could continue during last night. The nationalities of the dead and injured were not immediately known. Most tourists and trekkers who visit the area, in the country’s deep south, are Italian. In some places the Raganello creek, part of the Pollino National Park, is at the bottom of a narrow, 1km-deep gorge in the mountain. Rescue teams used ropes to descend the sides of the mountain to reach the site. “This gorge filled up with water in a really short space of time and these people were catapulted out like bullets. They ended up some 3km down the valley,” said Carlo Tansi, head of the civil protection department in Calabria. “It is really difficult terrain, filled with obstacles because of the (geological) formation of the area,” said Eugenio Facciolla, the chief prosecutor of the provincial capital, Cosenza. He said rescuers working under spotlights were trying to locate areas where some people may have survived by ending up on small patches of shore or tiny islands in the creek. 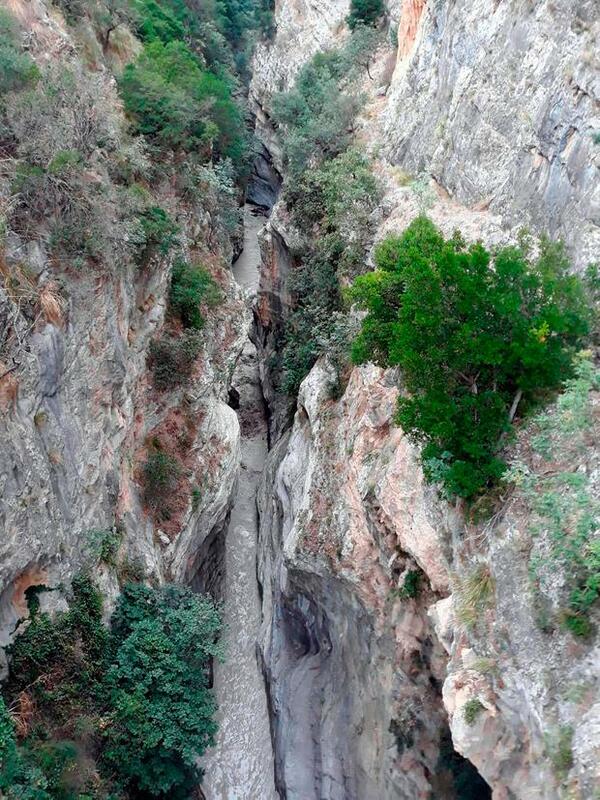 Mountain rescue squads rushed from the nearest town of Civita to reach the gorge. Last week, a motorway bridge collapse in the Italian port city of Genoa killed 43.